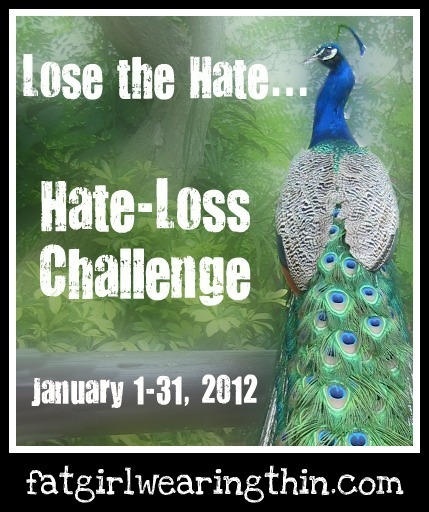 In this, the final week of the Hate-Loss Challenge, we were given two options: Pay it Forward or Put Yourself First. 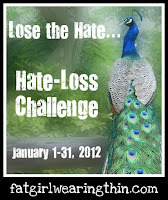 Pay it Forward – For the past 5+ years I have tried to make this a daily activity in my life of keeping the pounds off. 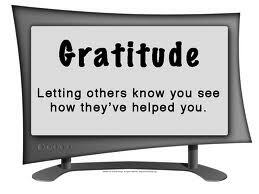 It is by helping others that I keep my own equilibrium and a bright perspective for the future. When I am isolated (forced or by my own design) I feel my balance and good cheer recede equal to my length of isolation. But just reaching out to one person with a cheerful word or a giving action gives me back so much. I often tell people whom I mentor that if they are feeling badly toward themselves or the world it is time to get out of themselves and do something for the world around them. It never fails to bring back their hope and esteem. I am not going to talk about what I did today but I am going to share that my self-esteem can be down in the toilet but when I do a random act of kindness such as help someone down the stairs, lift a package, make a call to a shut-in, pick up a newspaper and drop it closer to a neighbor’s front door, buy someone a cup of coffee while at a hospital cafeteria and write a letter to a former neighbor or teacher and thank them for something I remember from that past that they have probably forgotten. One year I kept updating a Thankful list and every week of Lent I wrote letters thanking someone I had never met for various things such as how their talent inspired me, how their invention helped someone I know and how their service to our country is appreciated. I can feel better anytime I want for just the cost of a stamp. Okay, I want to be well, whole, healthy. I’m game. I just need to get over the feeling that I am being indulgent with myself. Why? Because there is such a thing as being too indulgent. I want to be good to myself for the good of my physical, emotional and spiritual well-being but not o overboard. In other words: I want to get something good out of this, not just feel happy that I got a facial (facial is just an example). I do not want the post-blues feelings that can go with it, ie: I shouldn’t have spent the money, my face is breaking out, I could have done something else. . . . Yes, I may be over thinking this a bit (or a lot) but I know myself and I do want a pleasant ending to this challenge without feeling I am just doing something I do for myself anyway. I get the occasional pedicure when I want to feel good. I read for pleasure and relaxation at will. I don’t do bubbles. I do not have to leave my house for a massage. I have my own table and my husband has very capable hands. So – something that I wouldn’t normally consider, that I can do now and answer the questions in time for Thursday – hmm. Enter the Muppets. I decided to order myself something fun and unnecessary (but without breaking my bank). I went on-line and bought myself three bottles of glittery nail poish from OPIs Muppet Line. My daughters and I used the OPI Muppet colors for our Christmas pedicures. Now, instead of hoping the nail salon will have the colors I want when I get there, I have my own bottles for them to apply to my toes. The colors I purchased are Fresh Frog of Bel-air, Divine Swine and Gone Gonzo. How did I feel afterwards? I felt confident and supremely happy that I was taking care of creating a future happy moment by getting the nail colors I wanted today. I do not tend to buy my own nail colors. This is a new idea for me. Normally I hope that the color I want will be in the next time I am there. This will be a nice change. Daily affirmations update:I have decided to keep saying the affirmations for the whole month of February. When I memorize them and have them in my head, in my heart, and in my actions, I will know I can stop. Thank you for reading along on this challenge. If you were a part of it I thank you for your sharing and experience each week. If you have simply been reading along I thank you for your time and ask that you come back and read some more and perhaps comment. 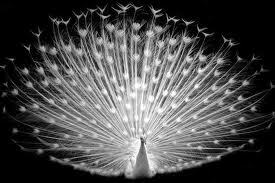 To Ellen, who planned this challenge with a peacock logo (which is what drew me in) I thank you for your support, wisdom and humor throughout this four week challenge. Thank you for sharing so much of yourself with all of us. Hi Jane! About 5 or 6 years ago, I decided it was time to spontaneously say anything good about people that I was internally thinking. While I used to follow society's rules and hold it back, now, if I like someone's blouse, I often just say it (of course, there are some safety limits to this), even if I don't know them. I also pay people random compliments in the gym. Many people are so pleased! I've met a lot of friends this way, and I'm happier for making the world a little bit friendlier. Marion - It is a wonderful way to live. I was thinking just yesterday how often I opened my mouth and a toad popped out instead of a gift. I remember saying to a casual acquaintance 'I love your dress but that hat has to go' - as if my opinion was worth anything to anyone. How obnoxious! No wonder she did not want to build a friendship with me. Thank God I am no longer a bad rhymes with witch. Love the idea about ordering and taking your OWN nail polish for a pedicure. Indulging on something is a mental torment for me a lot of the time. If I know the outcome (color of polish, in your example) can be made as great as possible by me thinking through the process and knowing possible outcomes, maybe a little tweeking here and there, then the whole experience can be better. I am with Marion. I love to tell people the kind things I am thinking inside. You would be surprised how often you think nice things. Once a woman out on a trail told me I had such a beautiful face. I won't ever forget it because I was feeling ever so terrible that day and she was like an angel. Thank you lady on Robin Hill Trail 2008. I also abide by the "no outing yourself when you are selfless" that outing yourself - the bragging or talking about it in any way is your reward. It can be a hard thing not to talk about it especially if it felt really good. You might be inclined to want to relive it thru the telling! No. Muppet nail polish is a fantastico idea. Yep. Today is National Insert Random Spanish into Blog Commenting Day! I also love the idea of writing people you don't know to thank them for something they've done for you in some way. What a wonderful idea that is. I may have to steal that one. I love the muppet nail polish! What a cute idea.